Perfect for fans of The Little Book of Hygge and Norwegian Wood, find the balance in life that is just right for you. Let Lola A. Akerstrom, Editor-in-chief of Slow Travel Stockholm, be your companion to all things lagom. As the Swedish proverb goes, 'Lagom ar bast' (The right amount is best). Lagom sums up the Swedish psyche and is the reason why Sweden is one of the happiest countries in the world with a healthy work-life balance and high standards of living. Lagom is a way of living that promotes harmony. It celebrates fairness, moderation and being satisfied with and taking proper care of what you've got, including your well-being, relationships, and possessions. It's not about having too little or too much but about fully inviting contentment into our lives through making optimal decisions. 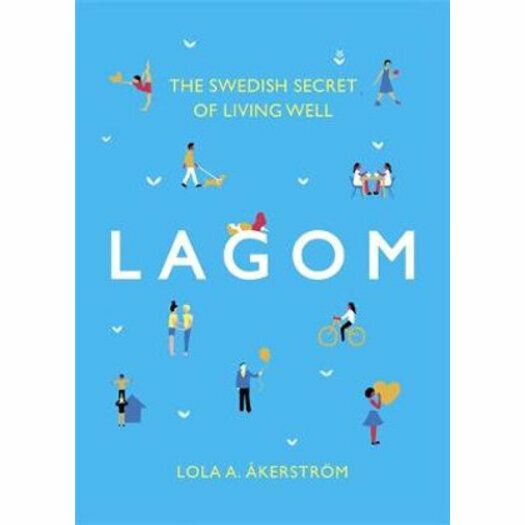 Who better than Lola A. Akerstrom to be your lagom guide? Sweden-based Lola is an award-winning writer, photographer, and editor-in-chief of Slow Travel Stockholm and she offers us a unique vantage point when it comes to adopting elements of a lagom lifestyle. Full of insights and beautiful photographs, taken by Lola herself, this authentic book will help you make small, simple changes to your every day life - whether that's your diet, lifestyle, money, work or your home - so you can have a more balanced way of living filled with contentment. Lola A. Akerstrom is an award-winning writer, speaker, and photographer. She regularly contributes to high profile publications such as AFAR, the BBC, The Guardian, Lonely Planet, Travel + Leisure and National Geographic Traveller. Lola is also the editor of Slow Travel Stockholm, an online magazine dedicated to exploring Sweden's capital city in depth. She lives in Stockholm with her husband and two children.